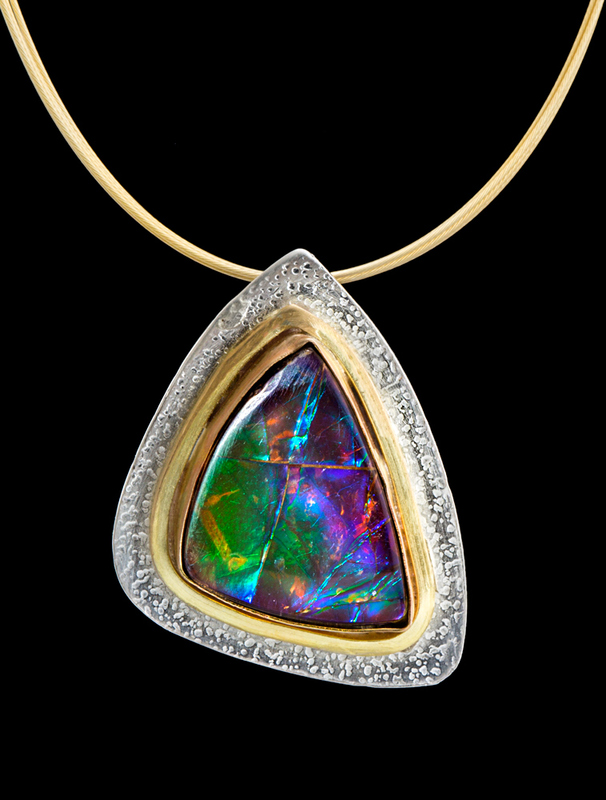 Ammolite is an opal like organic gemstone fossil found in Canada. This Ammolite pendant ranges in color from purple to green. The pendant is 1 inch wide by 1.5 inches long and is set in 14k and 18k gold on textured sterling.